Chipotle has weathered a rough few years after a series of high-profile food-borne illness outbreaks rocked the burrito chain to its core, but it has recently managed to make some big strides to rehabilitate its reputation and lure people back to its restaurants. However, the company may be in trouble all over again, following the news that over 200 people have reportedly gotten sick in recent days after eating at one of its Ohio locations. More than 200 people claim to have fallen ill after eating at the Chipotle restaurant on Sawmill Parkway in Powell, Ohio over the last few days, according to IWasPoisoned.com, a website that enables people to submit reports of suspected food-borne illness. As Business Insider reported on Monday, more than 100 submissions were made involving over 170 people who were sickened (individual submissions can include multiple people who dined together), and an additional 60 submissions were made since then, with people complaining of symptoms such as vomiting, nausea, and diarrhea. Following reports of people getting sick, Chipotle closed the location on Monday out of an abundance of caution. 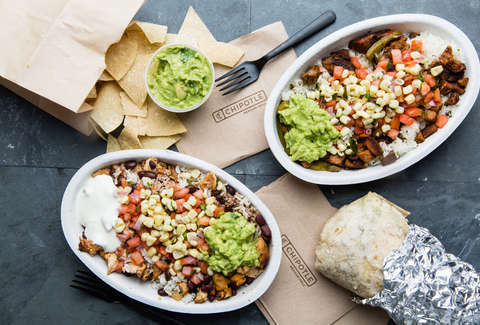 "We take all claims of food safety very seriously and we are currently looking into a few reports of illness at our Powell, Ohio, restaurant," Chipotle spokeswoman Laurie Schalow told Business Insider. "We are not aware of any confirmed food-borne illness cases, and we are cooperating with the local health department." The restaurant reportedly planned to reopen on Tuesday, but it had not done so at the time or this writing, and an employee who answered the phone at the Powell location indicated that they would be opening "hopefully later today." The local health department says the location is currently under investigation, per BI. Records also indicate that officials inspected the premises on July 26 and identified violations regarding improper food storage temperatures. Of course, this isn't the first time Chipotle's had to temporarily shut down a location after people got sick. A massive e. coli outbreak in 2015 and 2016 forced a number of closures, and there have been a handful of subsequent incidents that required doing the same. Needless to say, its battered reputation all but tanked the company, and it's been clawing its way back ever since. We've reached out to Chipotle for further comment and will update when we hear back. It's been an all-around tough day for the brand, considering its online ordering site and mobile app experienced glitches just as it was kicking off its free guac giveaway.